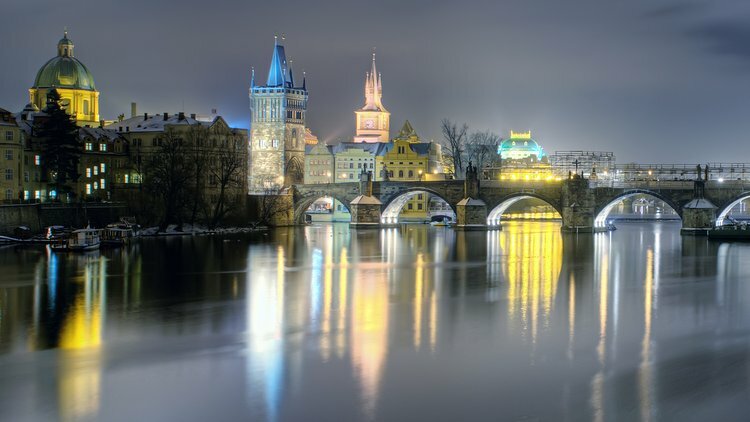 Prague suffered considerably less damage during World War II than other major cities, and contains one of the world's most pristine and varied collections of architecture. From your downtown brewery hotel, at the edge of the walking zone and only minutes from Old Towne Square, you will be a stone’s throw away from the majority of Prague’s downtown destinations. From this home base, you can use the entire weekend to visit as many of Prague’s famous attractions as you wish. The entire old city awaits you. The Astronomical Clock, Prague Castle, Charles’ Bridge, countless shops and many museums are all within walking distance, while countless professional tour options await discovery during your explorations. Of course no trip to Prague would be complete without getting a real taste of Prague by sampling the many unique Bohemian Beers and Czech Cuisine, either downstairs in the U Medvidku restaurant and beer hall, or anywhere else in the Golden City. With a free e-travelguide downloaded from Army Libraries, you are sure to find the best of Prague over your weekend. Don’t miss this chance to visit the “Golden City”. Reserve your space with Kaiserslautern Outdoor Recreation today! Up to two children under 12 with 2 paid adults in Family Room: $269 p.c.